“Fortune has placed this country in the position where its people do not all speak the same language and do not all adore God at the same altar. Our task is to mould all these elements into one community without destroying the richness of any of those cultural sources from which many of our people have sprung" (Joshee & Johnson, 2005). Although Canada has made great strides in Multicultural and Citizenship policies since the 1940s, it still has a very long way to go in order to teach tolerance and diversity in its school systems. The fact remains that many students are still facing racism, discrimination, and inequity in schools today. Teachers have an important role to play in teaching kids to be more culturally sensitive of one another, and this role must begin on the onset of being a teacher. For instance, I am involved in the “Teachers for Tanzania” project, which gives beginner teachers the opportunity to help instill permanent and sustainable self-reliance in the lives of children of Singida, Tanzania. I feel a program like this should be a prerequisite course that all future educators should have to undertake before graduating from the program. This type of experience is life changing and helps teachers to open their eyes, heart, and mind. This, in turn, allows one to promote a cultural awareness to others. 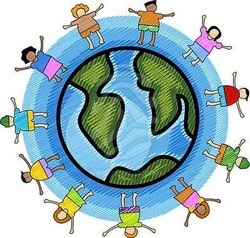 Teaching children how to interact and connect with others needs to be implemented, and children should be taught about different cultures to create harmony and inclusiveness in order to build lasting relationships. Only in this way can we begin to cultivate better communities. Joshee, R., & Johnson, L.(2005). Multicultural education in the United States and Canada: The importance of national policies. In N. Bascia et al. (Eds. ), International Handbook of Educational Policy (Vol. 13, pp. 53-74). Netherlands: Springer.